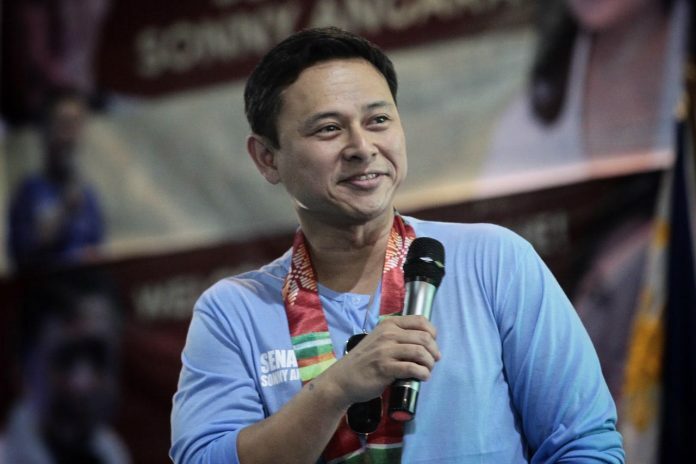 “We will try to stay visible and get our message heard through mass media and/or personal appearances,” says reelectionist Sen. Sonny Angara who has authored and sponsored more than 180 national and local laws since becoming a legislator in 2004. Angara thanks supporters after placing third in the latest Pulse Asia senatorial preference survey. “I am very thankful to our people for their continued trust and hoping such result carries over to Election Day,” he says. 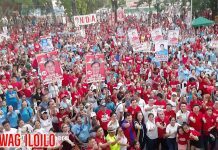 MANILA – Reelectionist Sen. Sonny Angara thanked supporters after placing third in the latest Pulse Asia senatorial preference survey. “I am very thankful to our people for their continued trust and hoping such result carries over to Election Day,” he said. 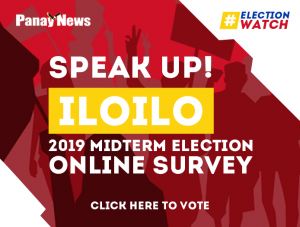 The nationwide poll gathered from March 23 to 27 showed him having a 58.5 percent preference rating, falling just below fellow reelectionist senators Grace Poe and Cynthia Villar. level. Results were released Thursday last week. 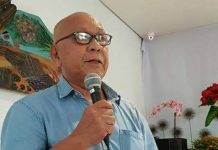 The lawmaker from Aurora, who is running under the platform “Alagang Angara,” said the survey results motivate him to work harder to win over voters in the upcoming midterm elections. 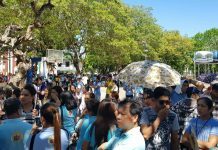 “Nakakapagod itong kampanya pero nabibigyan kami ng sigla dahil sa resulta ng survey,” he said. “We will try to stay visible and get our message heard through mass media and/or personal appearances,” he added. His candidacy is also supported by several organizations, cause-oriented groups and political parties such as Partido Demokratiko Pilipino – Lakas ng Bayan (PDP-Laban); One Batangas; Confederation of Sugar Producers Associations, Inc.; Filipinos for Peace, Justice and Progress Movement; Coalition of Services of the Elderly Inc.; Alyansa ng May Kapansanang Pinoy (AKAP-Pinoy); Tahanang Walang Hagdan Inc.; Coop-NATCCO Party-list; and Davao-based District III Women Federation Inc.
Angara chairs the Laban ng Demokratikong Pilipino, the political party once led by his father, the late Senate President Edgardo Angara who was behind landmark legislation that created the Commission on Higher Education (CHED) and the Technical Education and Skills Development Authority (TESDA), the Free College High School Act, the Senior Citizens Act, and the National Health Insurance Act that created the PhilHealth. Since becoming a legislator in 2004, first as representative of the lone district of Aurora and later as senator in 2013, the younger Angara authored and sponsored more than 180 national and local laws, and vowed to continue his legislative agenda of helping every member of the family if voters return him to the Senate.